ASO -App Store Optimization-, as you all might already know, is an essential strategy for mobile businesses to achieve maximum visibility on the app stores, improve their positions in search, conversion rate and drive organic installs. 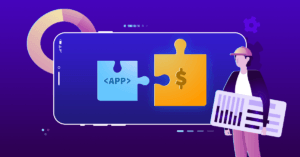 In order to stay up-to-date with rapidly evolving app stores and the changes in their algorithms, we have decided to create the most updated guides to ASO strategy for the biggest markets: ASO Guide for Google Play Store and this ASO Guide for Apple App Store for 2019, that we are now proudly presenting. How to select the right keywords? Where to find suggested keywords? How to identify the best keywords? Where to put keywords on App Store? iOS 12 has been with us for a few months now, but how does it affect ASO strategy? First, let’s quickly go over the main concepts. Before reading this guide, make sure you have a clear idea about ASO reading our blog and contents. Monitoring the results and again – optimizing! Keyword research is the first essential step of ASO strategy. But the search algorithms of Apple App Store and Google Play Store are quite different. So, for ranking in search results, the stores are taking into account different factors. In order to optimize your listing for a search on the App Store, the first thing you need to think of is ALL the possible search queries that one can use to find your product on the store. It’s all about the ASO keywords! Brainstorm the initial list of all the keywords related to your project – including the tasks that your application performs, its main features, what kind of in-app purchases do you use, and in case of games – even mention characters and gameplay. Think about what value does your product bring to the users, what need does it solve? All of these will form the base of the keywords list of your app. Next step is easier! Amplify your keywords list with suggestions. Another way to find new keywords is to spy on your competitors… Check it out! Once you’ve created a list of keywords to work on, it is time to analyze them and see which ones are worth targeting in order to improve Search ASO. The best practice, at least in the beginning, is to target mid- and long-tail keywords – keyword combinations that have high enough traffic size (amount of search requests), and lower competition. This information is usually provided in keyword research tools, including TheTool. As the description doesn’t have any effect on search algorithms, the main elements to optimize for search ASO are App Name, Subtitle and keywords field. Apple has made a dedicated 100-character field for developers to place the keywords they want their app to rank for. Don’t include plural word forms if you have already included singular. Separate words with commas and don’t use spaces – Apple’s algorithm will already “mix and match” your keywords, creating various keyword combinations to rank your app. Don’t include the same keywords that you already have included in your App Name (it already has the biggest weight for Search rankings). The next important step of ASO is to work directly on your App Store listing (which we will talk about later in more detail). This means working on your on-metadata (those are the elements that fall under the direct control of developers and can be easily changed and optimized), and off-metadata factors, that are not under developer’s control, but can be influenced. Off-metadata factors include downloads volume and velocity, user engagement, ratings (average rating and number of ratings received), and reviews. In the App Store, the role of ratings and reviews has been seriously elevated lately. The all-time ratings are displayed right below the icon. In contrast, the average rating of the current version and the accumulated rating of all versions aren’t shown. User reviews also have got a more prominent position on the product page, together with developer’s answers if those are provided. Moreover, apps appear on search results with ratings, which created foremost importance for developers to take care of their user experience and ensure positive feedback from their users. To make sure that the optimizations of your product page are optimal, you need to see a consequent improvement in conversion rate (a number of visitors who end up installing the app). The great way to measure it is with A/B testing. A/B test is an experiment, during which one element of a product page is changed and the traffic is driven to both versions of the app to determine which one is performing best in terms of conversion rate. A/B testing is a vital part of ASO, as it is the only way to find out if the icons, screenshots and previews would really work to attract and convince the users. Stop guessing and start A/B testing! Read more about the common mistakes that developers make when A/B testing their mobile products in this article, and make sure to avoid them! Check some great tools for A/B testing here. After making all the improvements, it is time to track and monitor the results of optimization, in terms of KPIs such as keywords rankings, top charts rankings, conversion rate, the volume of organic downloads, reviews, and ratings. You can use TheTool for this, of course. The App Store received a great redesign after iOS 11 update, which affected the process of app discovery (changes in Categories, the introduction of editorial picks – Today section). iOS 12 has worked based on the redesign of iOS 11, aiming to give users a better app discovery experience. App Name is one of the strongest ranking factors, that is responsible for both search results rankings and conversion rate of an app. The length of App Name is 30 characters and can be changed only when submitting a new version. This is quite a big reduction, as it started as 255 (later, 50) characters that we had just a couple of years ago, and even smaller than the space for the Title on Google Play – 50 char. To compensate for so little available space, there’s a Subtitle field complementing it in order to add a brief description. Studies have proven that the keywords included in the App Name, are performing twice as good as those included in the keywords field. Read more about it in this post. The best advice is to keep a brand name short and memorable for the users and use the rest of the space to include some of your core keywords. Later we will talk about other benefits of having keywords there. We strongly recommend to localize your product page – you can publish it in each language where you have made your app available. Read more on how to manage localizations on App Store in Apple’s guidelines. Subtitle is a 30-character field that was introduced with iOS 11, it is located right below App Name. It is primarily meant to summarize a product in an additional sentence and highlight the best features of your app or game. It was confirmed that Subtitle affects keyword rankings, so this field can be used for adding some more keywords. It will also appear on Top Charts, and will have an effect on the click-through rate, turning the users who found your app in search results or Top Charts into visitors of your product page. Consequently, it will affect the conversion rate. Apple recommends to test different versions, related, for example, to the release of new features, or important update, in order to find a copy that is most engaging and compelling for the users. Same as App Name, a Subtitle can be updated only with submitting a new version of your app to the App Store. The description is fixed and developers can’t change it without submitting a new version. If you want to announce updates or special offers more frequently than updating your app, better use a Promotional Text field, that we will talk about later on. The description is a 4.000-character field, but the most important part of it is the first sentence (the first 3 lines), because this is the part which the users can see without having to tap to read more (so it affects the Conversion Rate). Highlight the key features of your product, focus on its uniqueness. Be clear and concise, transmit the core value of your app to the users. Don’t do keyword stuffing (it will not even help). Avoid mentioning prices – they may not be accurate for all countries. Promotional Text is a 170-character field that is likely to appear on top of the Description and can be updated any time in between the submissions of new versions. Promo Text does not affect keyword rankings, but a well-written copy can definitely improve the conversion rate. Use it to include any special offers, promotions, share the latest news or upcoming features. Read more about Indexing In-App Purchases in App Store Search Results in this article. On Apple App Store the developer name is located below the fold (below description), so the users need to scroll to get to see it. So, developer name has hardly any effect on conversion rate. However, a positive historic record of the developer can have a great effect on rankings and can help your app to get featured on Today, Apps or Games tabs. Developer name can appear in search results, and thus, affect Search ASO. Icon is one of the most prominent elements of on-metadata – the first element that users see when they find the app in search, or Top Charts (Games or Apps tabs). So, the icon has a very strong effect on click-through rate and conversion rate. Apple requires every developer to supply icons in small and large size. Small ones are used on the Home screen and throughout the system when the app is installed on devices, and large one is used in the App Store. In addition to that, an app needs to provide smaller icons to be used in Spotlight, Settings, and Notifications. Read more about the requirements in Apple’s guidelines for icons here. Make it simple and recognizable – the icon should give the users a clear idea what is your app about. Work with simple forms and harmonizing colors, don’t overload it with too many details. Think of scalability: your icon should be visible in any size. Stay consistent to the overall style of your app. Match your icons: don’t create a confusion with your icon being different on the App Store and on the user devices. Test and identify the best performing icon with A/B testing tools. Test against different backgrounds – make sure your icon will be clear and visible against any wallpaper. A video preview that is located before the first screenshot of the app. The developers can add up to 3 video previews to engage with potential users when they come across the app in search results or visit a product page. Previews autoplay on mute both on the product page and in search, which makes these video previews a strong ASO on-metadata factor responsible for Conversion. They can be up to 30 seconds long and use footage of an app experience captured from a device. To convince the users to install your application in just 30 seconds, the video previews have to be really compelling and attractive and provide a clear visual explanation of content and features of your app. Show real experience – use footage captured on the device, and avoid overproducing the video. Eventually, what the users want to know is what to expect from your app. Learn how to capture app footage and check Apple’s format requirements for previews on this page. Focus on the first video: the additional previews will be shown only to the users who already have iOS 12, the rest will only see the first one. Make the first seconds of your video really compelling – try to catch user attention and convince them to watch the full preview. Get your audience excited – showcase 3-5 best features of your app! Use copy to drive interest and provide explanation since your preview will be auto played on mute. Read more about iOS Previews in this amazing guide by Apptamin. The screenshots are another important on-metadata of your store listing. And, just like the previews, screenshots don’t affect directly the Search ASO, but they certainly have a strong effect on CTR and conversion rate of the app. Apple allows the developers to provide up to 10 screenshots. Displayed right after the video preview, they are meant to highlight the main features and provide additional details about the product. Screenshots are visible in search results and become the second visual element, after icon, that the users find in their app discovery process, and thus, screenshots are aimed to convince the users to install the app. Check some nice tools to design app store screenshots in this post. The sizes can vary depending on devices. However, you can submit the highest resolution image for each device type (iPhone or iPad), and the screenshots will be scaled appropriately for other device sizes. Read more about Apple’s requirements for screenshots sizes. Localizing the screenshots is very important when you make your product available in different countries. And a good localization is not a blind translation, but the adaptation of all the content (including maps, currencies, signs, etc) to the culture of the country. Display the best features on the first 2 screenshots. Preferably, work with portrait orientation – this way the users will see two screenshots in search results. page instead of just one. Use all the screenshot slots to create an interesting storyline. Follow the style of your app, stay consistent and provide explanations on captions. Work on a challenging copy to encourage users to install your app. Showcase special offers and promotions to motivate your users. Don’t forget to A/B test your screenshots to find the top-performing ones! Want more? Check out this guide to App Store Screenshots. The App Store has gone through many changes throughout the last years. However, having in mind all the iOS 12 elements and how to optimize them, we can start thinking of the new strategies to improve rankings, convince users to download your great app or game and drive more organic installs. Did you like our Apple App Store ASO (iOS 12) guide for 2019? Tell us in the comments! Feel free to share this post, too – thanks! Thanks for the sharing ,really good post. Good stuff. Comprehensive and genuinely helpful. Love the details. Thank you! Hi! Thank you for this great article. One question, you said that we shouldn’t “include the same keywords (in the keywords field) that you already have included in your App Name”, should we also apply it to the words included in the subtitle ? How many demo videos previews and screenshots can be added to Google play store, whereas for iOS 3 and 5 respectively. Really well explained. Thanks for posting such needful information. Hi, thank you very much for such a great article. Really helped. One question, are there any updates that need considering as of today?